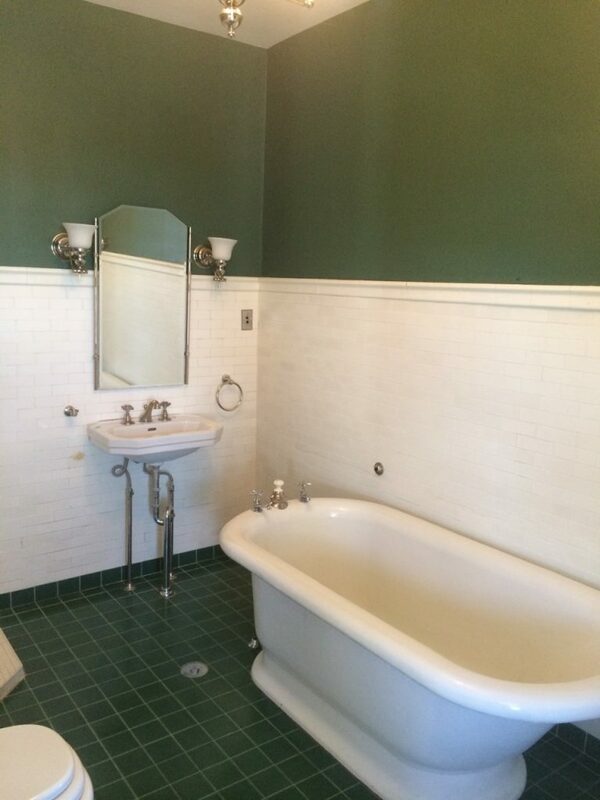 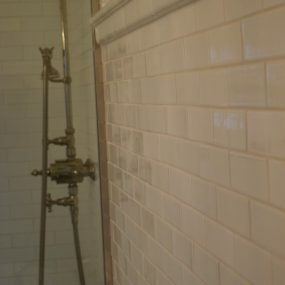 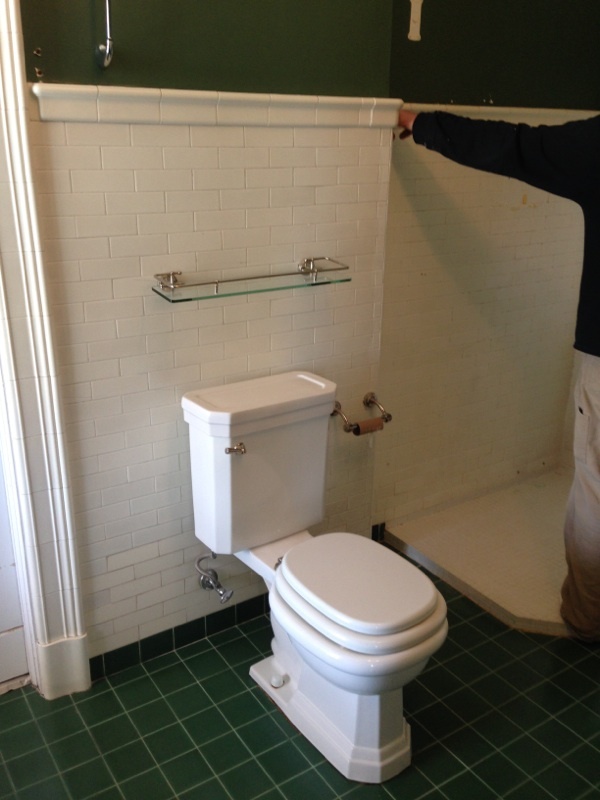 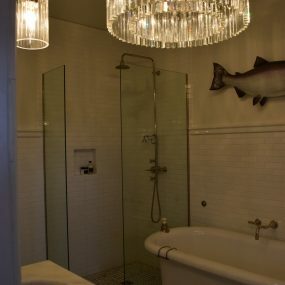 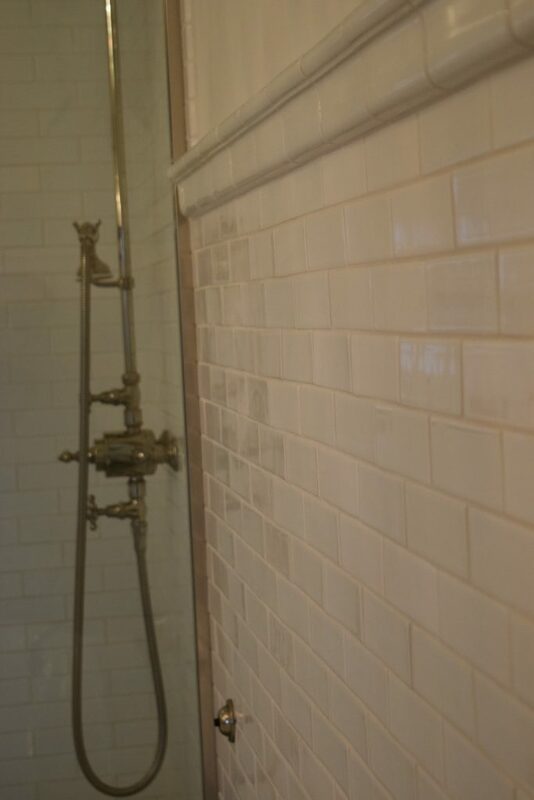 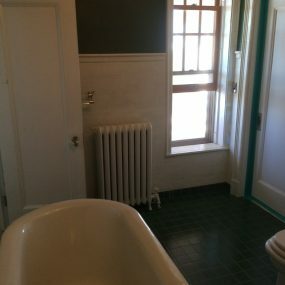 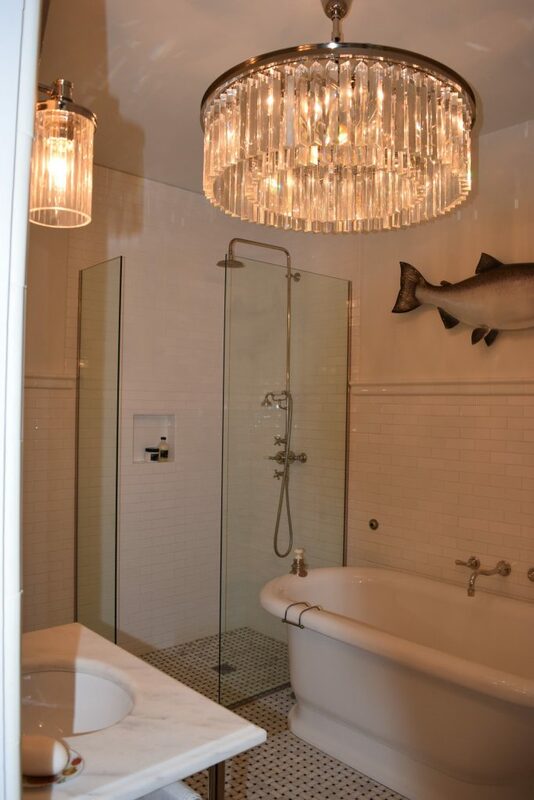 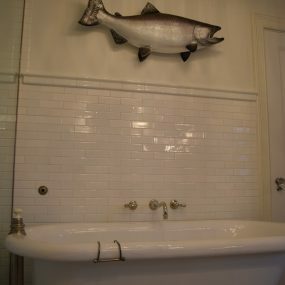 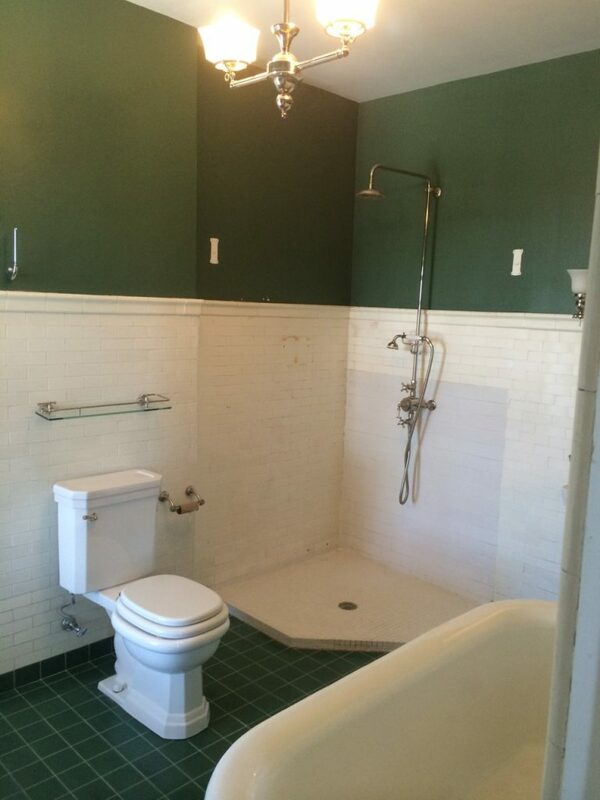 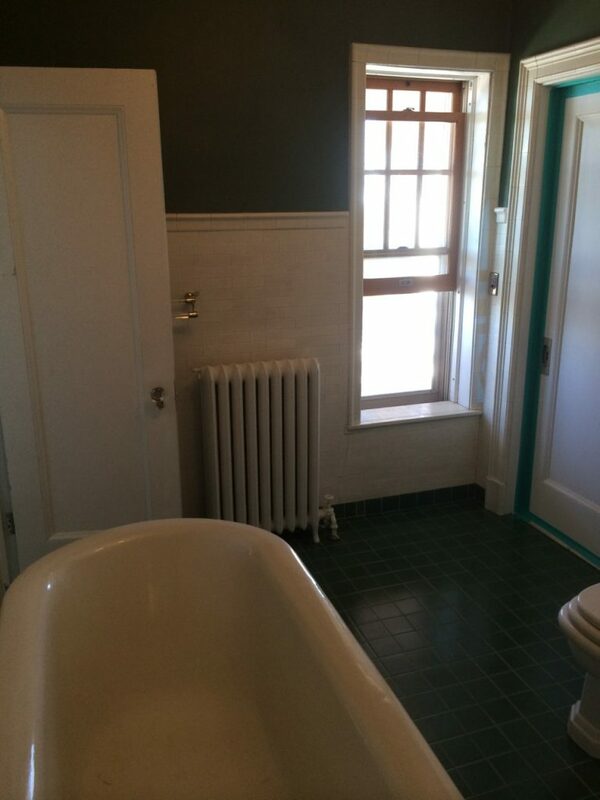 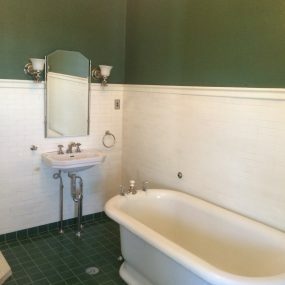 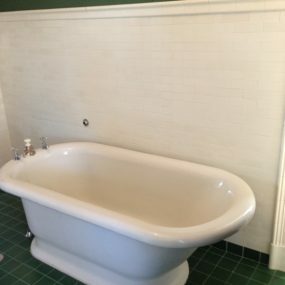 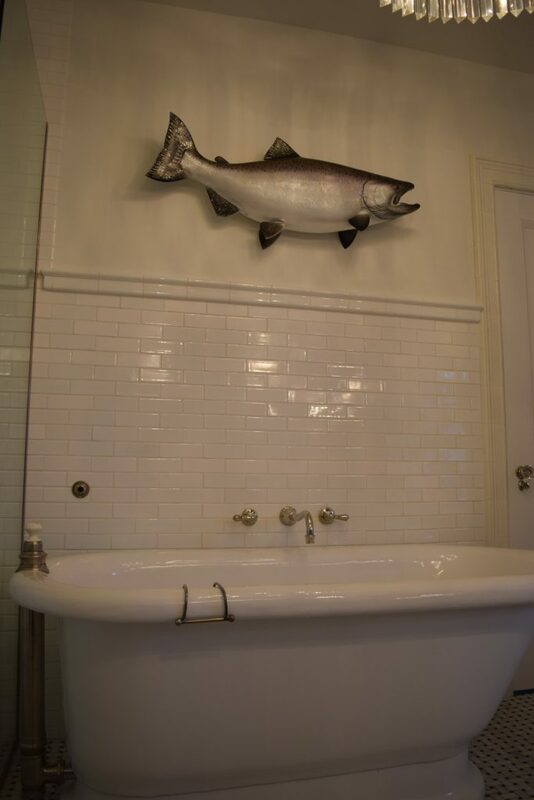 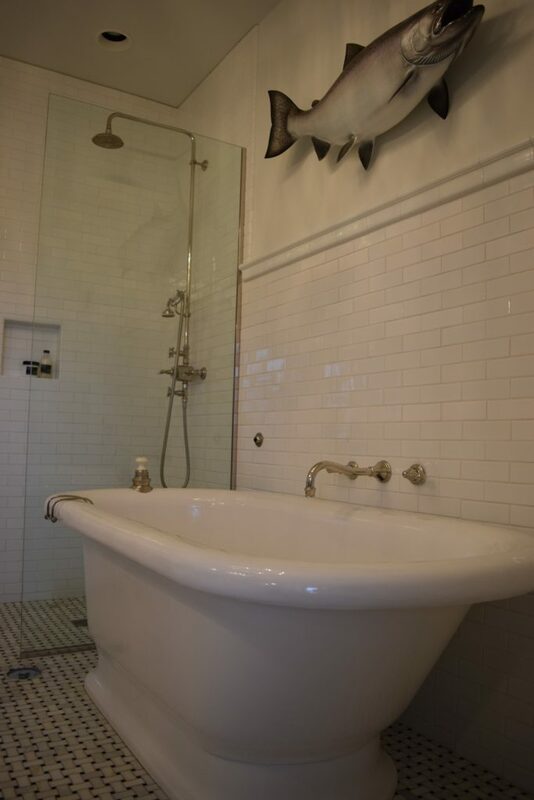 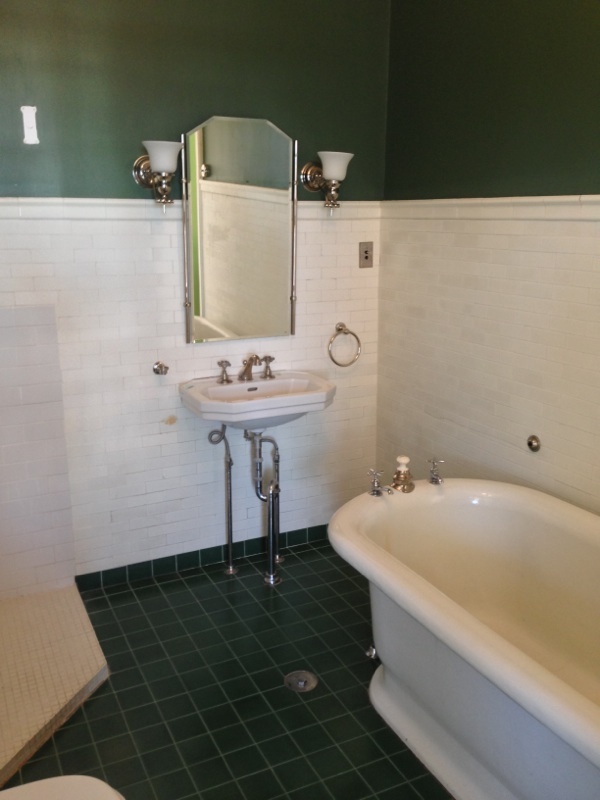 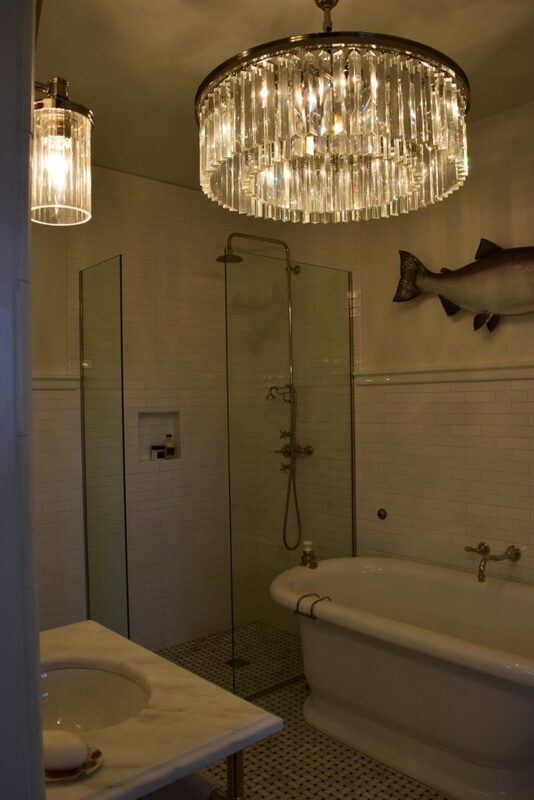 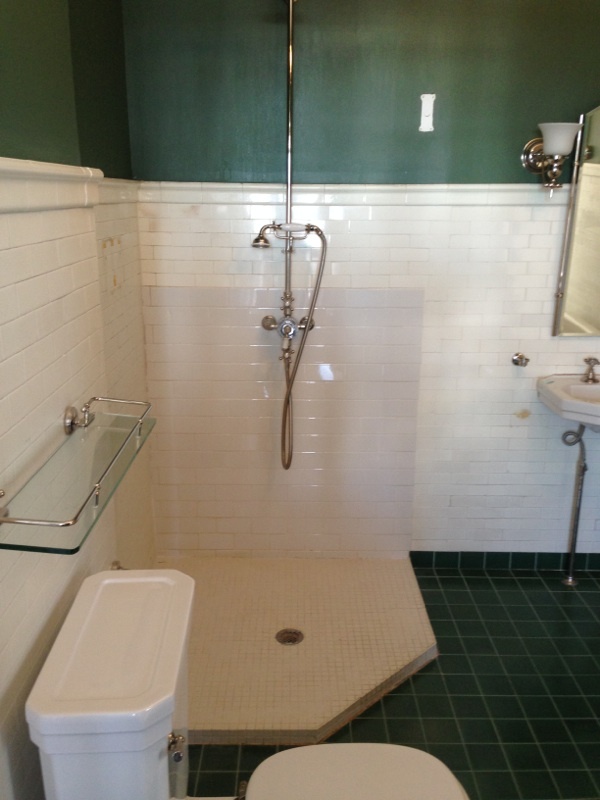 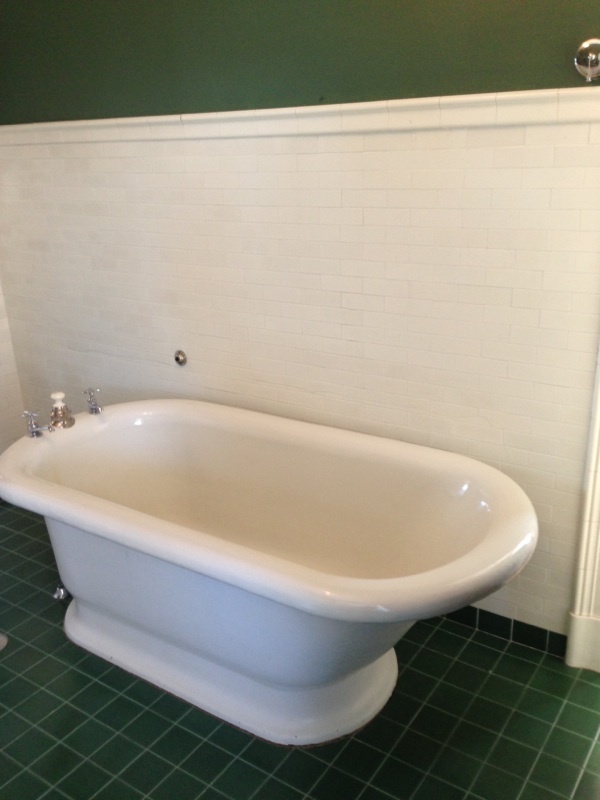 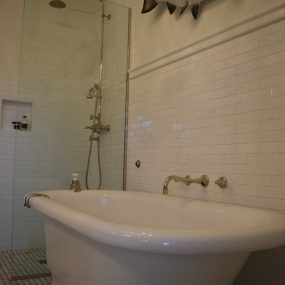 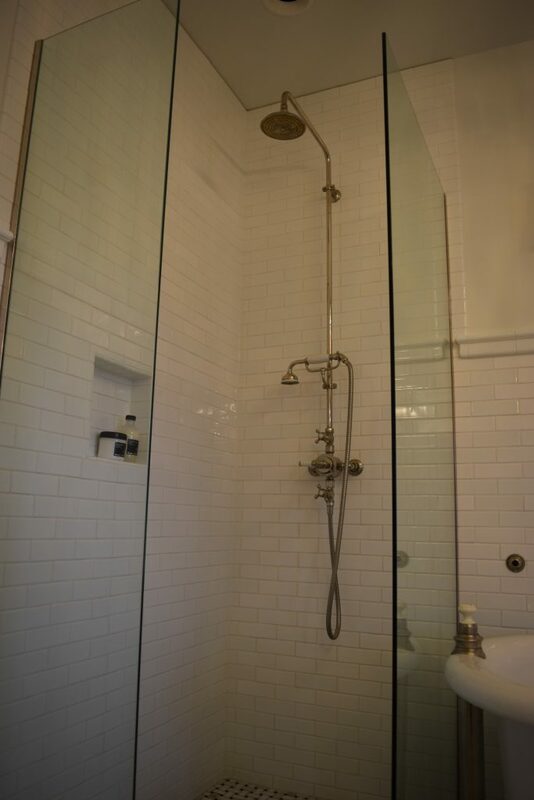 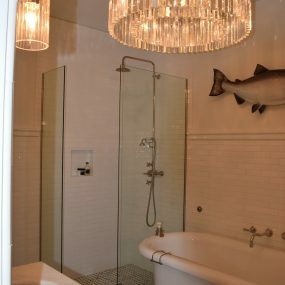 A couple that lives in the Congdon neighborhood had a master bathroom that was in desperate need of updating. 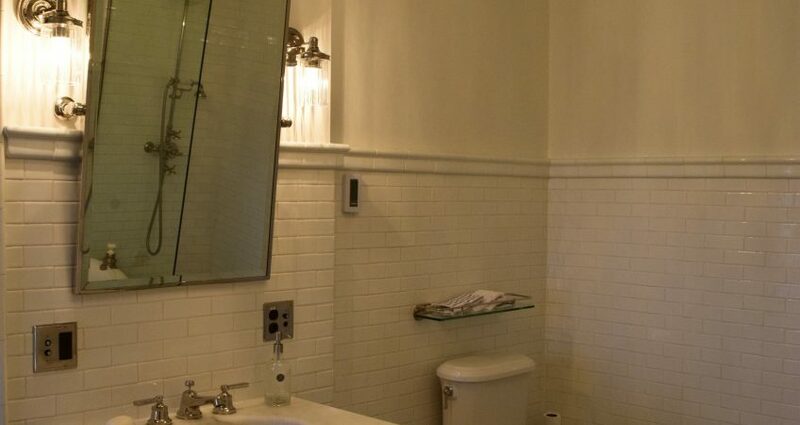 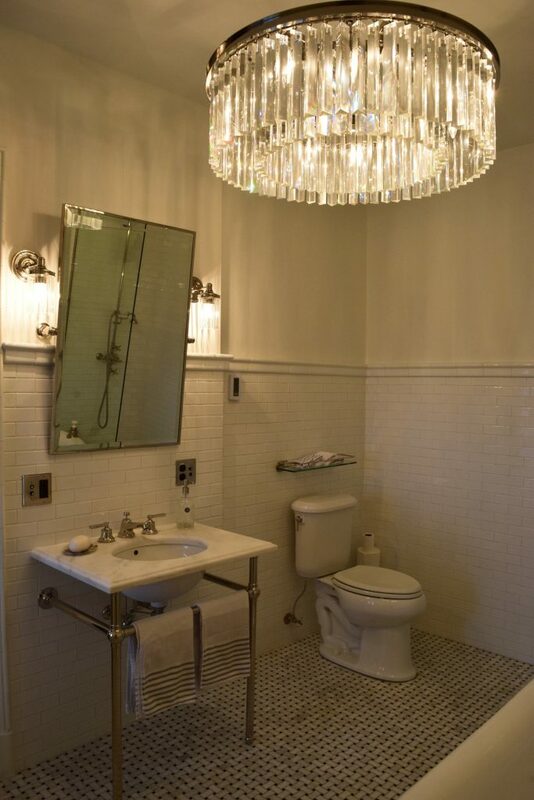 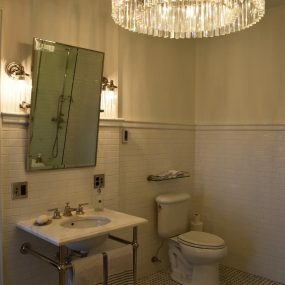 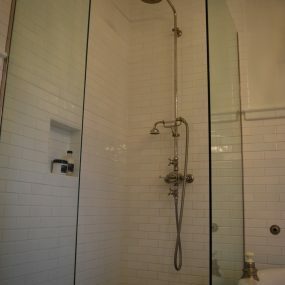 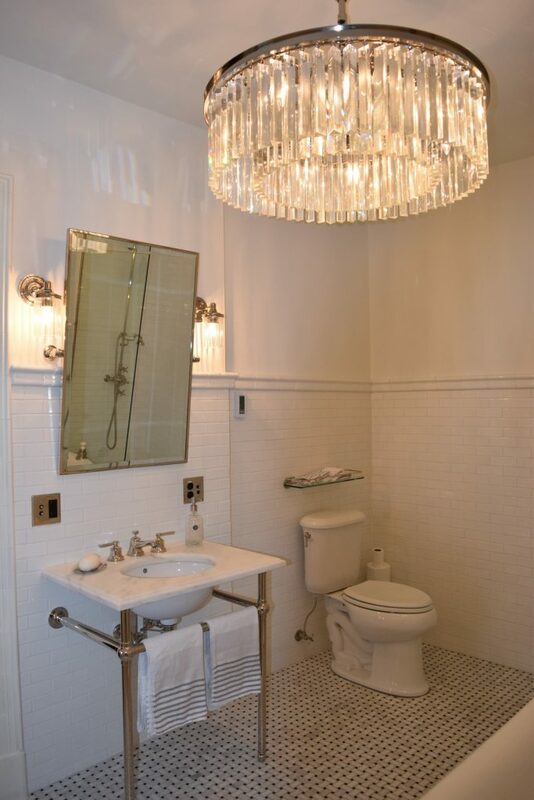 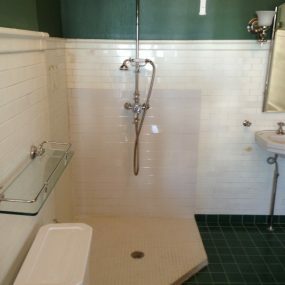 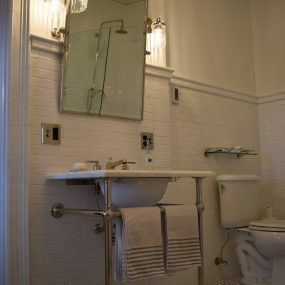 Their home was an older home so they wanted the bathroom to fit with the time period of the house but also have a modern/classy flair to it. 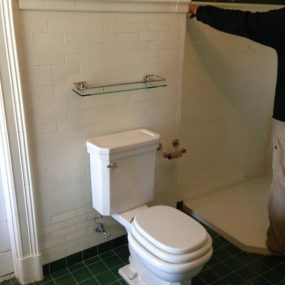 Being an older home there were many unforeseen challenges that Knutson and the home owners had to endure during the process. 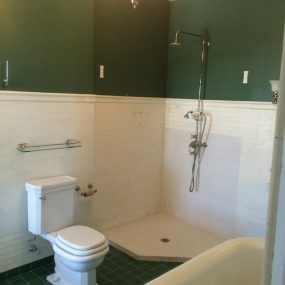 The communication between Andrew, the Knutson team and the home owners was open, honest and constant, which made any issue that arose much more manageable to deal with. 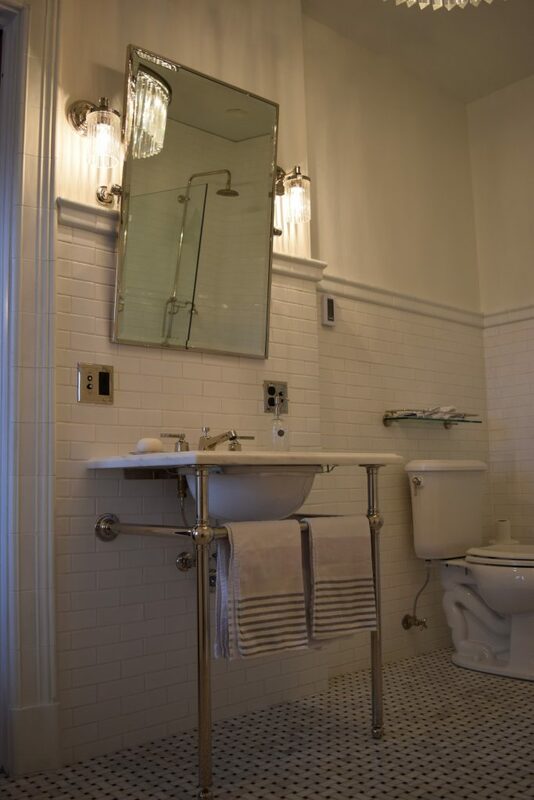 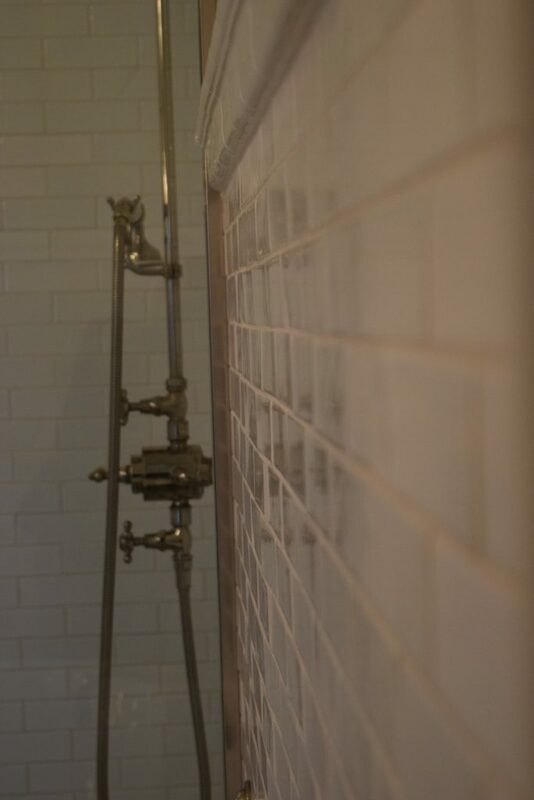 The classic claw foot tub, the wall mounted sink, and all the plumbing fixtures give the bathroom the look of the time period of the home. 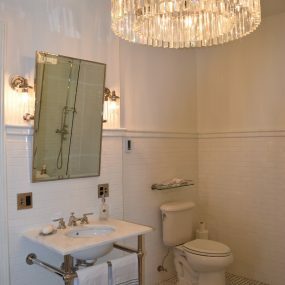 The textured (has a subtle wave to it) subway tile and glass door give it the modern edge, while the light fixtures add a hint of class to the place. 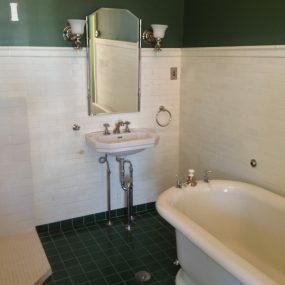 Overall this is one outstanding bathroom remodel, one that both Knutson Custom Construction as well as the homeowner are proud of.